Ride report to follow!! Been busy. Mad this one! Come ride to celebrate the snooker World Championships at the Crucible. We ride to the colours of the snooker balls in order, making sure we ‘pot’ a red between each one. Weather I look at three forecasts. Two forecasts say a dry evening the other says light rain/showers. Bring a waterproof, as if you’re not wearing one already! Route and Map I’ve changed the route – see next sentence for why. 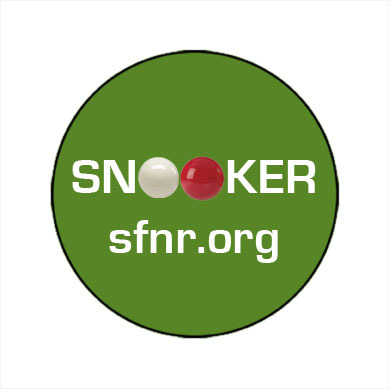 Theme: Sheffield and the Crucible are closely associated with the World Snooker Championship. From taking on an event in 1977 that was just becoming massive, Sheffield now has to work hard to keep the event at the Crucible and will stage it until at least 2015. A nightrider called Gavin came up with this idea that we ride to the colours of the balls of the snooker table with a red in between each ‘pot’ of another colour. That’s it – a night out riding just for the fun of it!